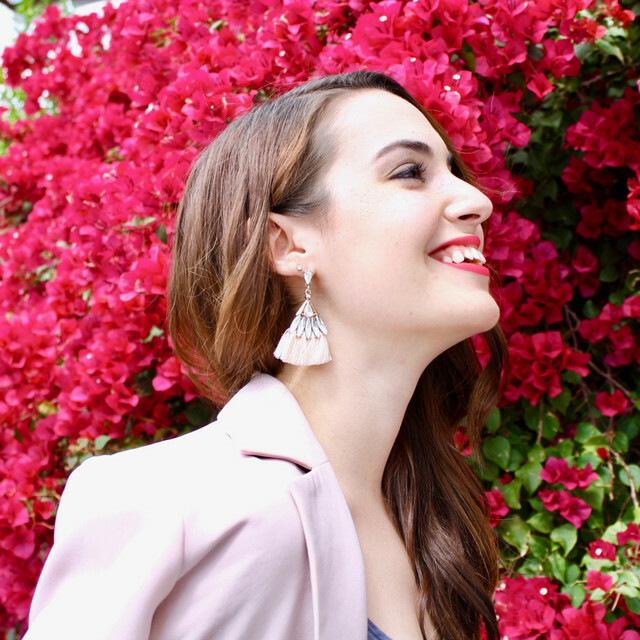 This is the easiest (and not to mention the cheapest) DIY I have ever done. All you need to do is pick up a beanie at the dollar store and some yarn and follow along! To make the pom pom, follow this tutorial using toilet paper rolls. It's simple and helps to get that oversized look we are going for. 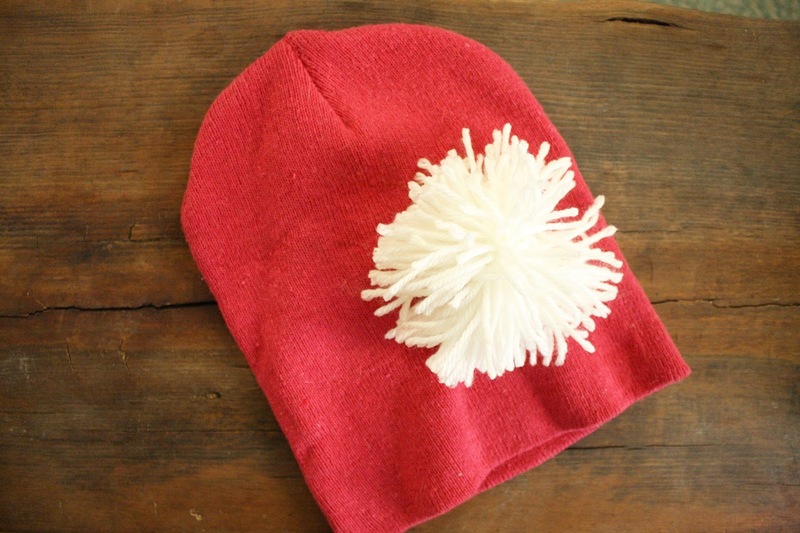 Once your pom pom is complete, you will sew it to the top of your beanie and BOOM done. 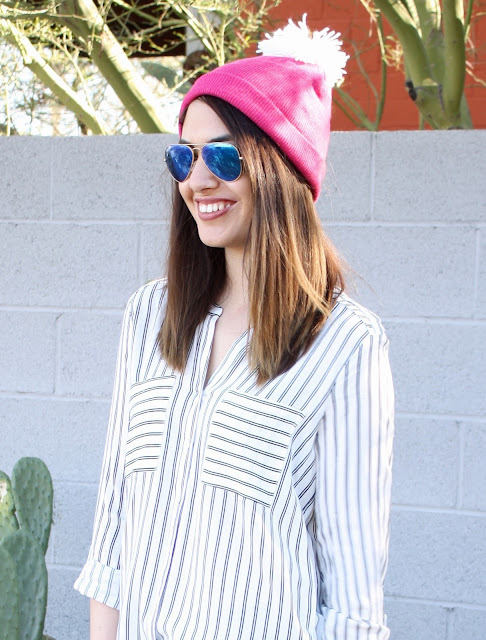 Like I said, the easiest DIY for the perfect pom pom beanie!